Ravana Ella is named after the legendary king Ravana of the island of Lanka, who had kidnapped Lord Rama’s consort Sita according to the Ramayana epic. Though this abduction was a crime, Ravana is not solely a negative figure and held in some esteem in Hindu mythology, for example for his healing power. Local legend has it that Sita was held in captivity in caves behind the Ravana Falls for some time. 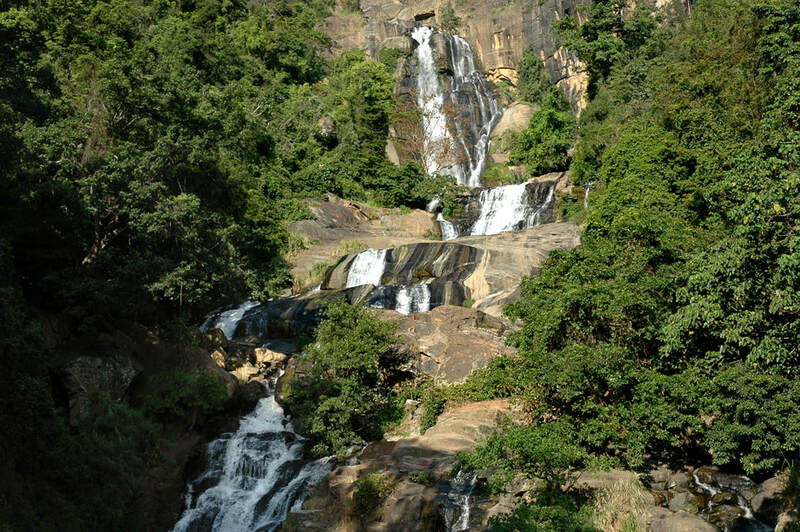 The Ravana Falls are located in the Ella Gap and cannot be seen from the road (A23), but the waterfalls close to the main road are, though situated a few hundred meters further below, are often also called "Ravana Ella". Another name for the latter waterfalls is Bamabaragama Ella.